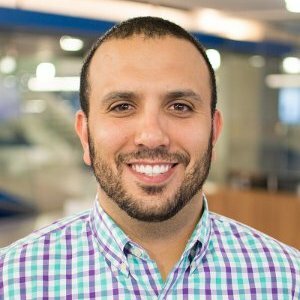 For today’s Q & A, we’re publishing the second part of our chat with Jason Rozenblat, a seasoned sales leader with experiences ranging from LivingSocial, to Yodle, CVENT. We recently hired our first BDR/SDR to help warm up colder lists, so from that perspective lead gen is HUGE. I dont want my reps chasing down cold leads. Really tough, until you start to focus on the few KPIs that really drive results. Most of the time, it boils down to just a few key metrics, regardless of what you’re selling. Quickly identify those few metrics and figure out how you, as a manager, can help influence those. Start with 3-5, and figure out whether you’re getting anything as a result. They also have to be metrics that you can share with your team and they will understand what you’re sharing with them. Contests and career path, respectively. Contests are always good to get a quick boost (quick is relative; depends on what you’re trying to increase). A clear, aggressive yet attainable, and rewarding career path is imperative to long term motivation or you’ll start to see reps leave. So important. I’ve taken these folks for granted and i didn’t realize how good they were until i was stuck with NO support or bad support. Sales ops/field enablement are a manager’s best friend because it lets you focus on the most important thing: coaching. If you have to wear too many hats, it will take away from your ability to help your reps improve. I am not saying it is impossible wear all those hats and be good, but its not ideal. Critical in that the right stack will absolutely accelerate your efforts and the wrong stack will make things worse than having nothing at all. There are a ton of vendors out there, so i suggest going with a vendor that has fantastic reviews/testimonials, you know someone personally that has used that vendor, and you know they will provide you world-class support from start to finish. It’s not just getting the most bang for your buck, which is obviously important; it’s making sure that it has a 2+2=5 effect vs. a 2+2=3. Also, don’t bite off more than you can chew or go crazy on buying every new technology under the sun. Identify the areas that you want to accelerate (more: dials, emails, proposals, collateral, etc) and then do the research. Keeping reps committed to bettering themselves as professionals. The old adage of leading a horse to water holds true in sales. Personally, my key to success was a thirst for knowledge; whether that was interviewing colleagues, reading books/blogs/articles, or following thought leaders on twitter/LinkedIn, etc. I always wanted to learn more. My best reps in my career shared a similar passion. Not everyone has that will. Hire trainers that believe in your vision as a leader and will help to instill that, otherwise you’re going to have reps on-boarded and trained believing something totally different. Spend a lot of time with them. Sit in on new hire training. and most important, MEASURE how much impact they have. Do you believe you’ve built a metrics driven environment? Whats an example of something youv’e done that other organizations may not have thought of? bi-weekly 1:1, with questions carefully selected and sent ahead of time. this is for the reps. it’s 1-hour, of dedicated time with the rep. very little to no mention of numbers, pipelines, etc. just about them, and their development. weekly pipeline/funnel reviews. 30 minutes to review their funnel to help move deals along and help you, as a sales leader, forecast. Jason is currently a VP of Inside Sales, prior to that he was a Director of Sales at CVENT, and LivingSocial. You can find him on Linkedin here, and on Twitter here.